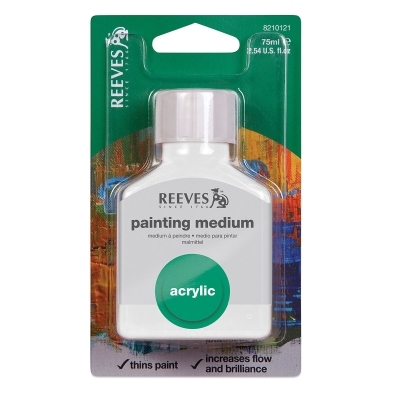 Reeves Artist Painting Medium is designed to thin acrylics and increase flow. It enhances adhesion and durability and increases transparency, intensity, and gloss. Shake well before use. 75 ml (2.5 oz) bottle.